Naloxone is a prescription medication that can be used to reverse opiate overdoses like those of heroin, morphine, fentanyl, oxycodone and more. It works incredibly rapidly and is offered in a number of forms that make it incredibly easy to administer. We created this page to inform you about the medication, its importance and resources for acquiring it and using it. These resources were collected, but not created by us, so please refer to their original sources for more info. Our purpose is to help get this information out so that we can help prevent more overdoses, save lives and allow individuals struggling with addiction to get the help they need. For more information about our own available sources for help, please check out The Abstinence Myth Book and the IGNTD Recovery Hero program! Using nasal sprays and injectible formulations, naloxone can completely reverse an overdose. 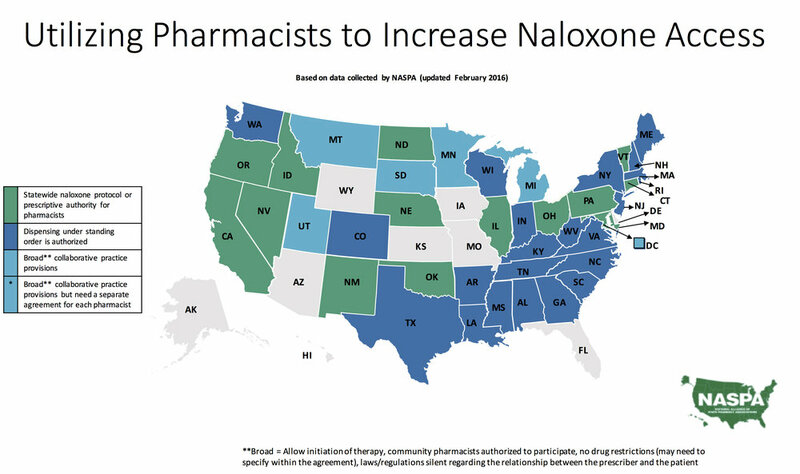 Nearly every state has passed laws allowing for laypeople (non-medical staff) to gain access to and administer naloxone. This map was updated in 2017 and additional states have provided some access since (Missouri, Iowa and Florida). Make sure to review laws in your particular state for specific limitations. So many people are scared of calling the police because of the consequences they might suffer. But most states offer protection for those who call authorities during an overdose from drug-related charges, arrests and prosecution.